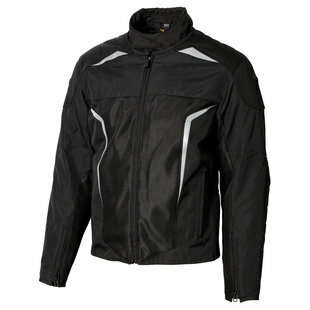 This is gonna be a quick post on some of the Winter Gear I currently have for my motorcycle. One thing I benefited from is having time and some extra X-Mas money to get some extra stuff for the cold weather. Do I have everything? By no means, no. I would love to have a full heated setup including heated grips. Won’t happen this season, however. I do have enough, however, to make it possible to ride in weather in the 20’s (Fahrenheit). It has reflective surfaces front and back and sleeves that unzip at the wrist. At the shoulders, elbows and back there are padded armor inserts, just in case. I upgraded the inserts as I like my skin on my body, not the tarmac. For gloves, I have two pieces. Now, I don’t always wear them both together, but I always have both with me. Just in case. 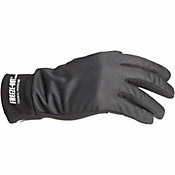 I have a pair of glove liners from Freeze Out: Freeze Out Inner Glove Liners. They work OK for an added layer, but my main gloves do pretty well on their own. My main gloves are Steel & Street Nitro and nave a thinsulate layer as well as waterproofing. One part that was unexpected and what I initially thought were just thumb supports, but found out they are wipers, squeegees on the back of the thumbs for clearing the face shield. Cool as hell. The gloves are well armored and a mix of textile and leather. Great for winter, but will need something else for summer. The same holds true for my boots. I have some taller, waterproof boots more for winter than summer. I initially got them because of the price – nearly 65% off. 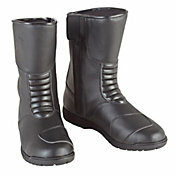 They are Bilt Stormguard Waterproof boots. They will work well for the winter time. They have some reinforced toes that are nice, but for me not really needed, as I don’t have to worry about a gear lever tearing up the inside of the the left boot. Still, nice to have. It also has armor at the shins as well as on the ankle bones. That, will be nice in those “just in case” moments. They are fairly basic, but then I am not going out racing or doing extreme trails. Once on, they are quite comfortable and there is plenty of room in the toes and the bottoms are good rubber. There is a pair of shorter boots from the same company I am thinking about getting as well, provided they feel good. 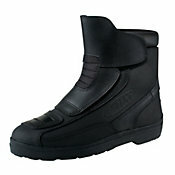 They are also Bilt boots; Bilt Shadow Waterproof boots. The last piece of gear I bought specifically for the motorcycle is a balaclava. 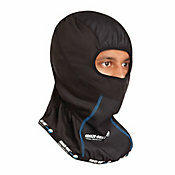 It is made by the same company I got the glove liners from: Freeze Out Balaclava. It features a windproof front and tucks nicely under my jacket. I gave it a good testing this past weekend, and it definitely kept me warm. The only real issue I had with it was it caused a fog issue with my face shield when stopped or going really slow. This was remedied by venting the face shield up about half an inch, then closing it when I got to speed. Annoying, but worth the warmth at speed. Just gonna have to carry a brush with me for the hair – gotta look my best. There are a few other considerations to have while being out in the cold. The first thing should always be common sense. It’s cold, cover your skin and use layers. 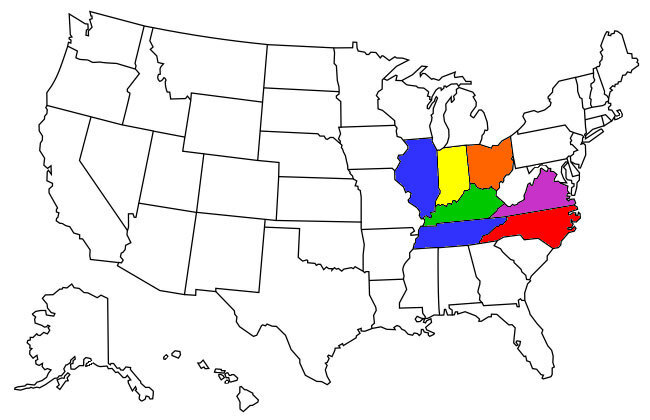 Don’t forget the rest of the body and remember, you could be traveling at highway speeds and you will be exposed to the elements. One of the most important pieces of cold weather gear is one of the ones most forgotten. Good Socks. I have a nice collection of wool hiking socks. Wool is awesome, it dries quickly and does not let moisture stay close to the body. I have some from both when I was in the military as well as some I have picked up over the years. Treat your feet well, and you will be rewarded with longer and more comfortable rides. The last piece of gear is some long underwear – unless you end up with some layered riding pants. I plan on upgrading my pants eventually, but right now, it’s just jeans. Long underwear will help keep the hear from escaping through your thighs – and it escapes quickly. Use common sense and dress for the weather expecting that you may get stuck in it. If you have room in your luggage, throw in a blanket for the colder months, just in case of a break down and you have to wait at the side of the road. Oh, did you notice? All Black! 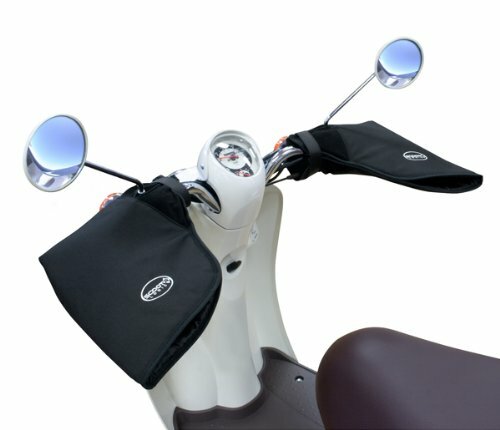 For $16 I got a pair of handle bar mitts: ScootR Logic SLHM-1 Hand Mitts. These velcro on over the handlebars to encompass your hands while riding. 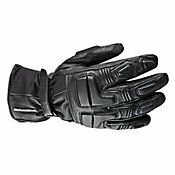 The main purpose is to keep the wind and shear cold off your hands while riding. As I do not have them yet, I will have to give a review later on. I should have them by Wednesday, which will be in plenty of time for me to fit them before my first attempt to ride into work on Friday. We’ll see how they work. They may be going back, but who knows, they may be the easiest and cheapest way to keep the fingertips warm on the longer and colder rides. I realize it says “Scooter” but there are a few reviews where people are using them on larger motorcycles. My only real worry is if their openings are large enough for me to get my gloved hands in and out easily without taking much effort or concentration off the normal driving. Yup, it’s definitely love – you’re dressing up and buying her presents!